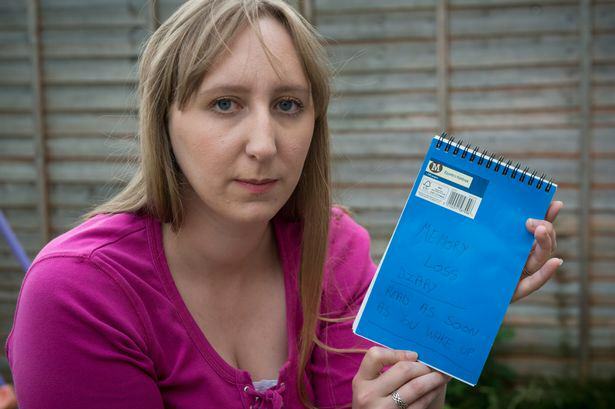 This woman suffered from a head injury last year, and now relies on a memory book to let her know what is going on, and what day it is. Nikki Pegram wakes up every single morning, and thinks it’s October 15th, 2014. She speaks to her partner Chris, who corrects her. Then the next morning, they do the same. 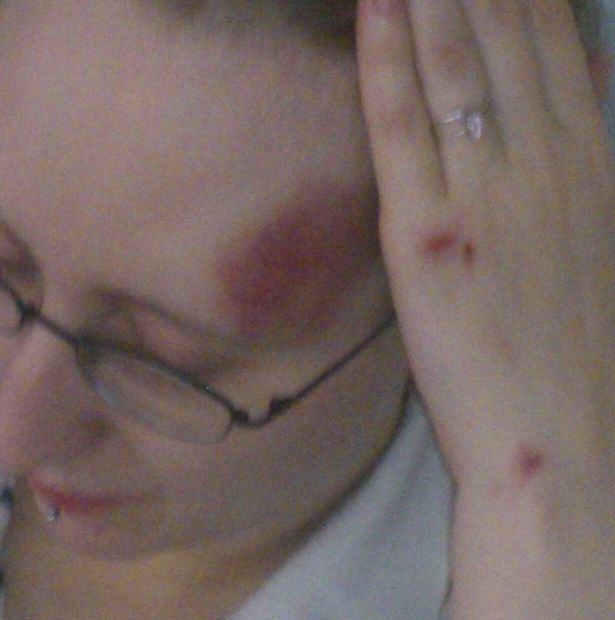 Last year, Nikki fell and hit her head on a metal pole outside of Kettering General Hospital, after being treated there for a knee problem. The injury left her with an unusual form of retrograde amnesia, which means she forgets everything from the incident onwards. She keeps a memory book, so she can read through it to try to comprehend what is going on. The amnesia is so bad, her partner Chris has to spend hours each day explaining what has happened, while Nikki thinks he is playing a prank on her. Every day when I wake up, I have no idea that actually nine months have passed and it’s 2015. I’m the real life Drew Barrymore in 50 First Dates, but amnesia is not as fun and comical as the film makes it look. 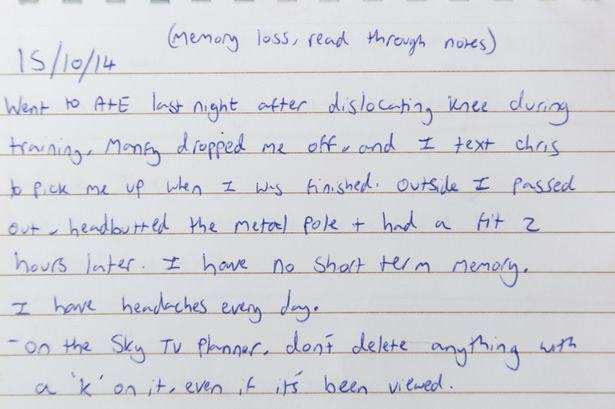 I’ve missed Christmas, family holidays and even my own birthday because I can’t remember anything after the accident. The hardest part of everyday is learning that I no longer have a job, that’s it’s now 2015 and that I’ve missed my birthday.